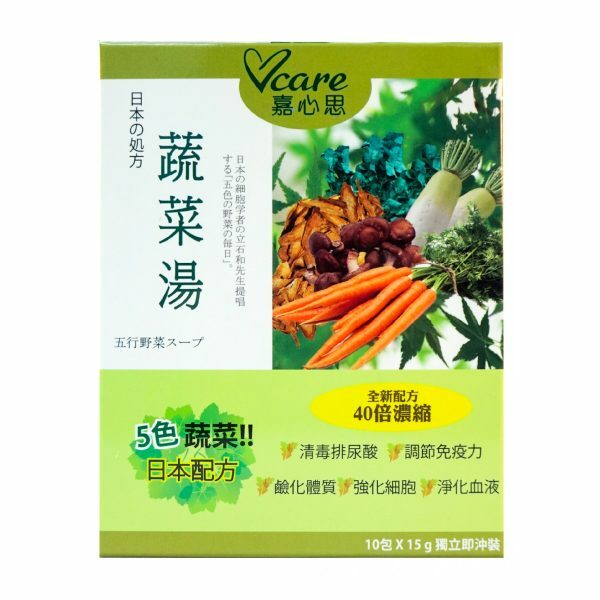 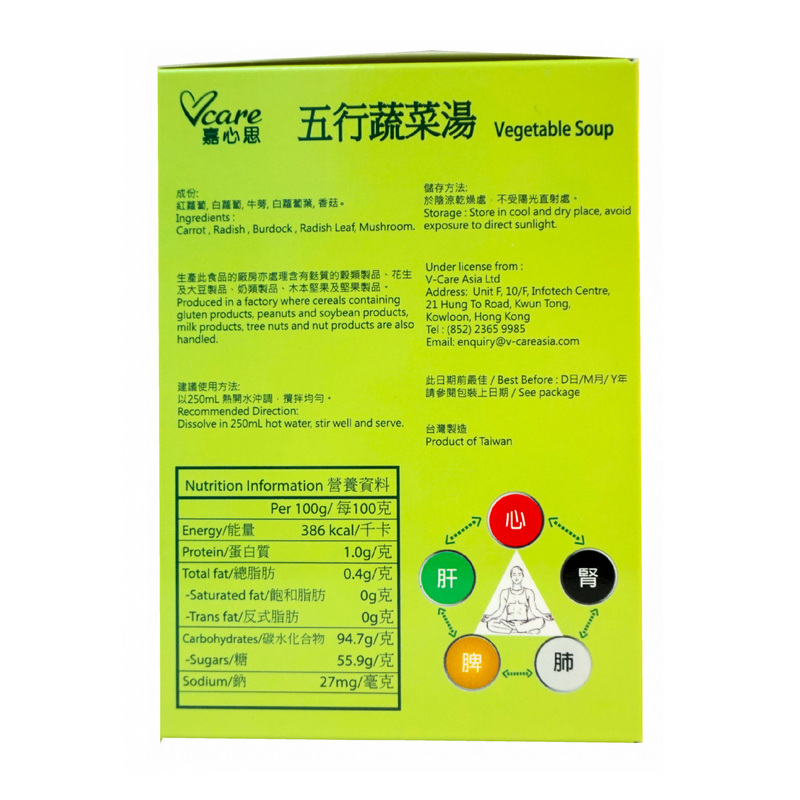 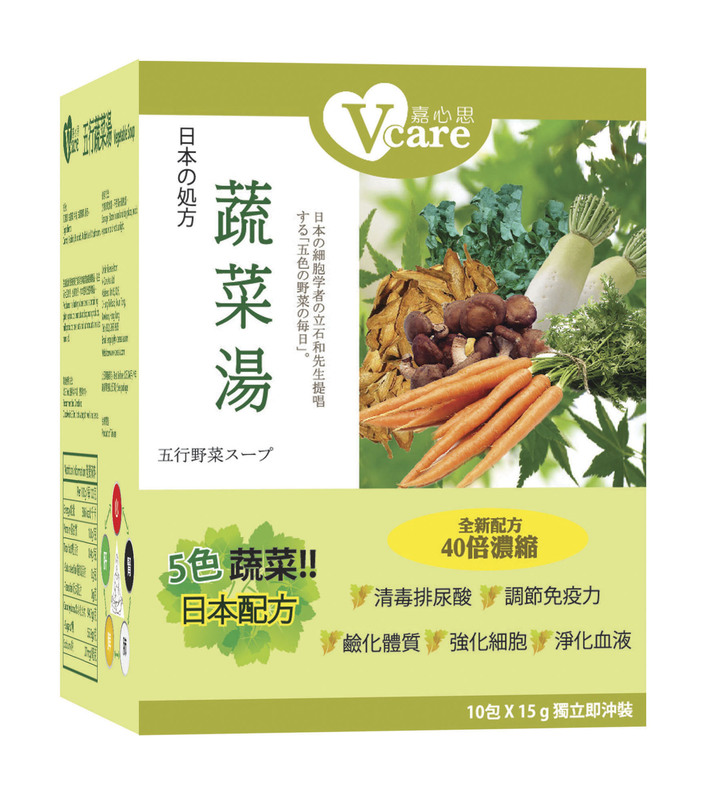 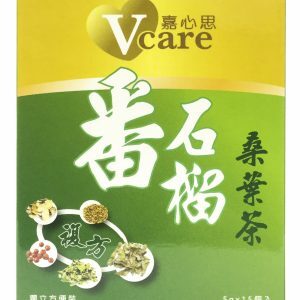 V-Care Five Elements Vegetable Soup is based on the Chinese Medicine Five Elements theory. 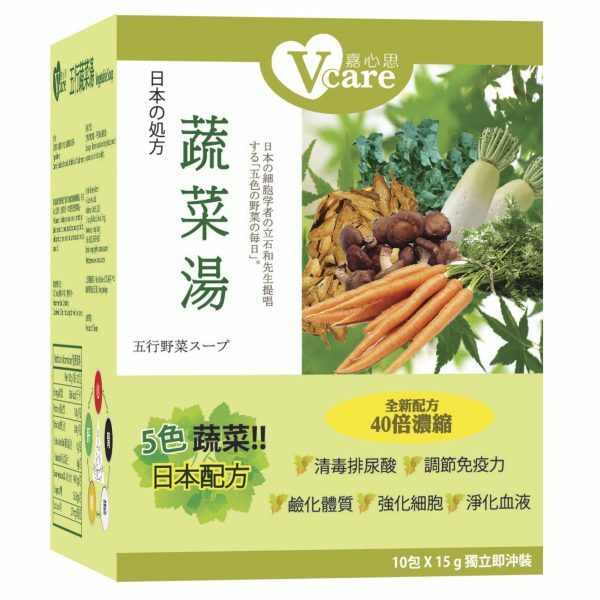 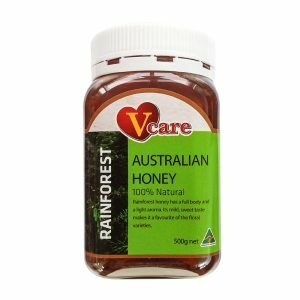 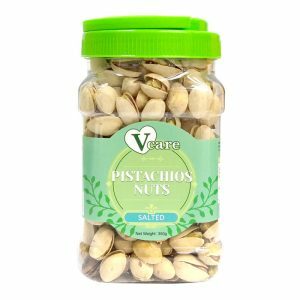 The product can help people heal maladies, alkalize body, enhance immunity, eliminate the uric acid and may be suitable for those concerning high blood glucose, blood lipid & blood pressure problems. 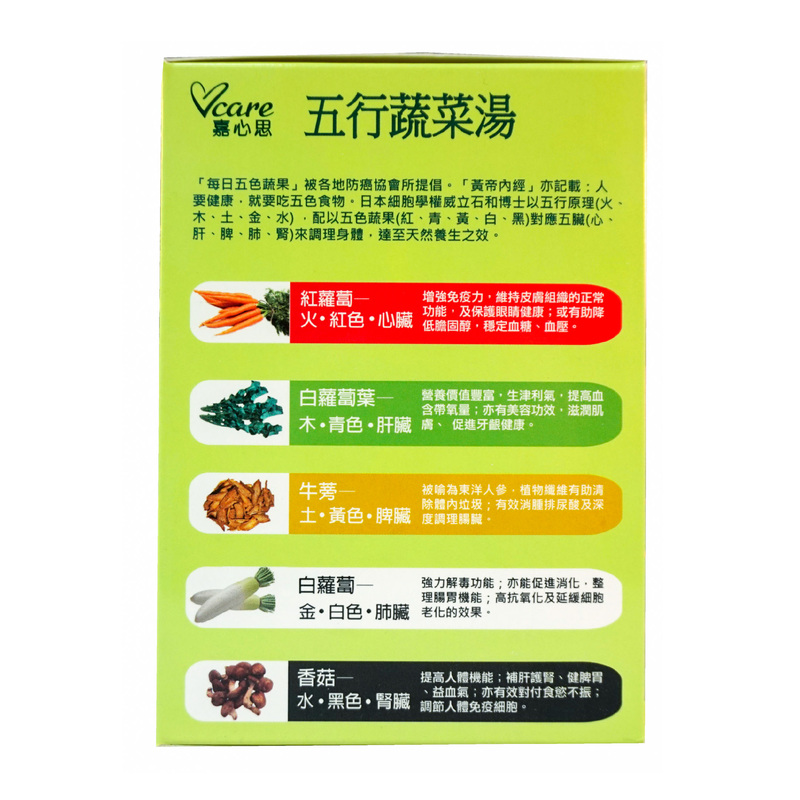 Direction: Dissolve in 250mL hot water, stir well and serve. Organchlorine Pesticides, Microbiological Quality and Heavy Metal Contaminant laboratory tests are passed through Hong Kong Standard and Testing Centre. 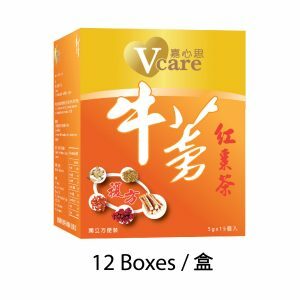 SKU: VC-VES-68012-EA. 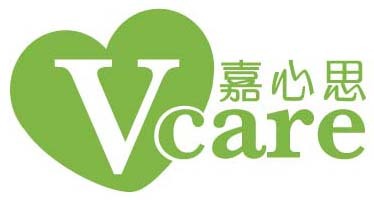 Categories: Health Food, Vcare.